The Lost In A Book Tag. So whilst I wasn't technically tagged to do this post, the lovely Sara did specify that anyone who read her post was more than welcome to do their own version, hence why we're here today. 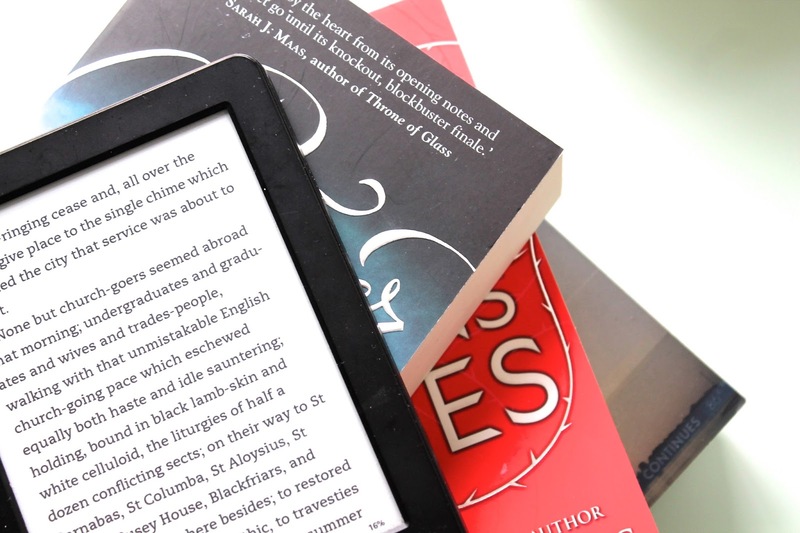 Now I'm sure if you've been on my blog before, you'll know that I'm a huge book nerd so I thought this post sounded perfect for me. I hope you enjoy my answers and similarly to Sara I tag anyone reading this to compile their own and leave a comment letting me know so I can read yours too. 1 - Do You Have A Certain Place At Home For Reading? Honestly, anywhere that is quiet. I absolutely cannot concentrate on reading a book if someone has the TV on, or music playing, or even just chatting. When I read I like to fully immerse myself into the world within the story, which I cannot do if there are any outside distractions. 2 - Where Do You Like To Read? So it varies between two places really: 1) my bed, and 2) when I'm on my lunch break at work. I'm super anti social and since I work in a tiny shop when there's usually only one or two people on a break at the same time, I tend to go sit in my car and read there. It's really therapeutic to get out of my job for an hour and enjoy my book is the peace and quiet of my car. 3 - Book Mark or Random Piece of Paper? I read a lot on my Kindle which thankfully saves your place for you, so for the most part I don't use either. However if I'm reading an actual paper book I have to admit it... guys... I fold down the corners..! I KNOW, DON'T JUDGE ME! I hate how it makes the books look, but I always lose bookmarks and then can't find my place. Okay, I'm totally trying to justify my sacrilege. 4 - Can You Stop Reading or Do You Stop At a Chapter? Umm to be honest I haven't really thought about this before. I usually stop when my mind begins to wander which can happen at the end or the middle of a chapter. However I find it impossible to stop at cliffhangers so saying that, I usually stop in the middle of chapters. 5 - Do You Eat Or Drink Whilst Reading? Hells yeah. I've mastered the art of balancing my food on my lap, cup of tea in one hand and Kindle in the other. It's an art. Some of my favourite things to eat whilst reading include: biscuits (of the chocolate variety) and english breakfast muffins with goats cheese. But random I know, but so much love for that! 6 - E-Reader or Real Book? For aesthetic purposes: real books. I adore how they look on my shelves and the covers are just so pretty. I still have all of my original Harry Potter books, even though they've been read so many times they're almost falling apart. However I tend to read most of my books on my Kindle, purely because I'm so lazy and it's easier to turn the pages. Literally cannot believe I just admitted that, but it's so true! How am I supposed to eat, drink, read and turn real life paper pages?! Impossible! But with the Kindle... The opportunities are endless! I'm also totally guilty of buying the book on my Kindle to read and then seeing the physical copy in Waterstones and repurchasing. For example, my third favourite book (series) ever is A Court Of Thorns and Roses by Sarah J Maas, which I have owned on Kindle ever since it came out. But a few months back, I was in the book store and saw... SIGNED COPIES?! I legit fangirled so hard I almost died. So naturally I bought that baby! 7 - Music or TV Whilst Reading? I think we've covered this: Nope! 8 - One Book or Several At Once? One book! I can't concentrate properly on the storyline if I'm sidetracked with other things. 9 - Fiction or Non Fiction? Definitely fiction. I live for stories and imagination and whilst I appreciate that there are lot's of amazing no fictions works out there, it's just not really for me. My favourite genres of fiction are both high fantasy and urban fantasy and of course the good old contemporary romance. I tend to read a lot of YA, just because I find the characters more relatable, however in the past I have strayed into the adult fiction wold a few times, and found it quite enjoyable. 10 - Do You Read Ahead or Skip Pages? I definitely don't skip pages or really read ahead, but one bad habit I have is reading the final page of a book first. I don't know, I just really like to know if my favourite characters survives or not! Something else I do is go on Pinterest or Tumblr and stalk the [insert book name here] tag. It's awful because 99% of the time I end up spoiling myself and then getting really angry that I was such an idiot, but it's like a drug, I just can't stop doing it!! 11 - Do You Write in Your Books? Why is this even a question?! What kind of a*sshole writes in books?! I mean seriously?! Books are beautiful and should be protected. I'm sorry I just have a lot of feelings about this question! 12 - Your Favourite Book? You thought I could pick just one?! LOL. Okay so because this question is like the book lovers version of choosing a child, I'll tell you my top three: firstly (and probably topping the list) is Harry Potter. Yep the entire series. I grew up reading these and still remember preordering The Deathly Hallows and going to Waterstones with my dad to pick it up. Harry Potter will forever be my first obsession, and what truly made me fall in love with reading. There's something so magical about the intricacies of the world J K Rowling has created, that I've never seen in another book before. If you haven't read Harry Potter, do yourself a favour and do it. Even if you don't like fantasy or magic or whatever, I can guarantee you will fall a little bit in love with The Boy Who Lived. Next up is the Shadowhunter Chronicles by Cassandra Clare. These are a beautiful urban fantasy series, split into three (soon to be five) mini series. The Infernal Devices is the first trilogy chronologically and is set in 1800s England. The characters are just so funny and fantastic and sassy and if you like fantasy I'd highly recommend these. The second series is made up of six books and is called The Mortal Instruments. They made a movie back in 2013 starring Lily Collins but it was kind of a flop and no one really talks about it. However the books are incredible. And lastly The Dark Artifices has just dropped it's first book Lady Midnight (which I've reviewed here) which is set in LA and is equally fabulous. If you follow me on twitter and have heard me raving about something called 'Malec' it's the ship name of two characters from this series. Thirdly is A Court Of Thorns and Rose by Sarah J Maas. I wasn't expecting to love this book as much as I did, but it's truly spectacular and so well written. The second book has literally just come out, but because I'm an idiot (who's currently experiencing a reading slump #PrayForLily) I haven't read it yet. 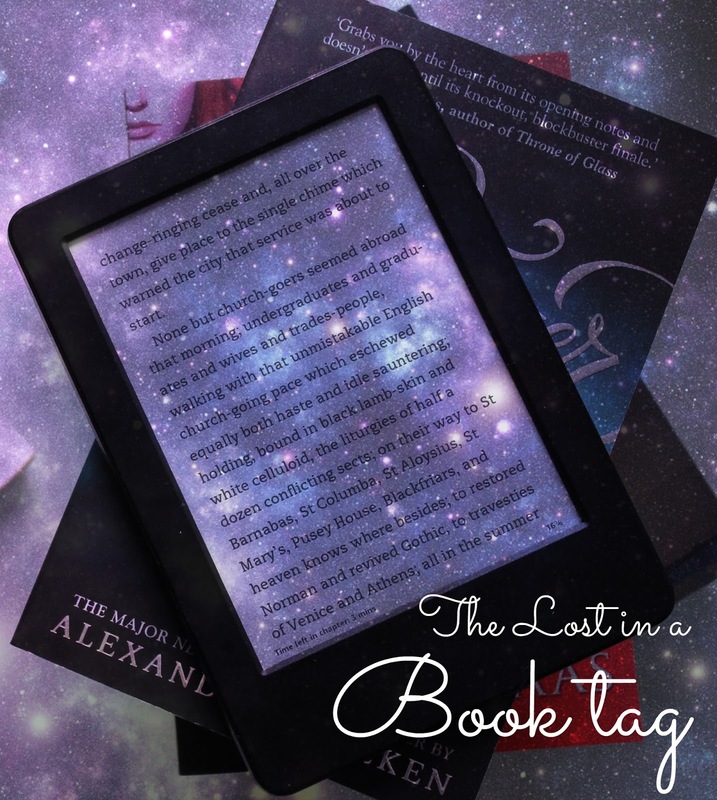 Wow, so that was the Lost In A Book tag! Thanks to Sara for (sort of) tagging me, and like I said above, I tag anyone else to do this post!! What I Wore On a Spring Evening. 3 Steps To A Healthier and Happier You! Bake With Me: The Ultimate Chocolate Cake. The Changing Face of Blogging. Beauty Review: Lancôme Hypnose Star Mascara. How To Fall Back In Love With Blogging. What I Got For My 19th Birthday. 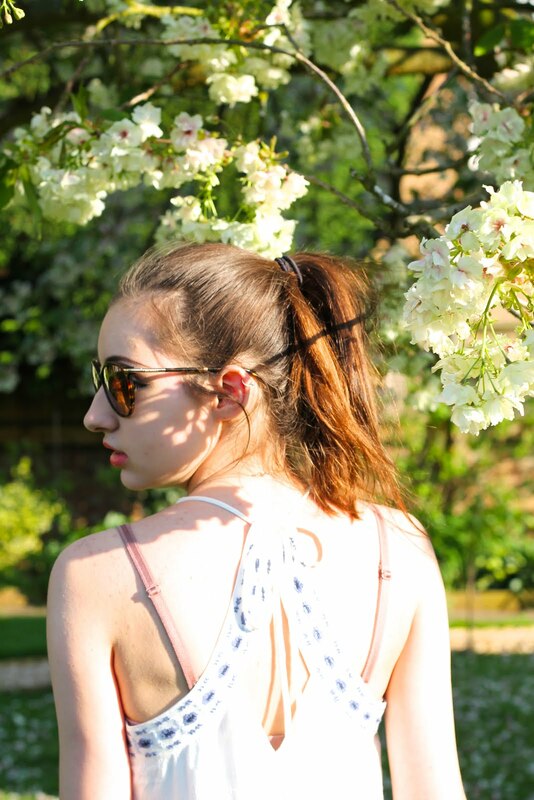 What I Wore: 19th Birthday Edit. 5 Things I'm Looking Forward To In Summer 2016. How To Achieve The Perfect Fake Tan. Bake With Me: Victoria Sponge Cake. Black Opium - A Fragrance Review. 3 Books To Read In May!